Bandai has finally revealed for Build fans how to purchase toy versions of the Smash infected Full Bottles that are seen in the show after a Rider defeats a Smash. 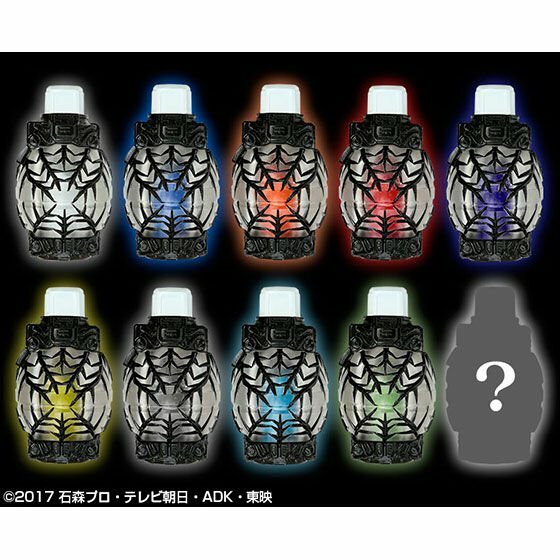 Very similar to the Ganma Eyecons from Kamen Rider Ghost a set full of Empty Smash Full Bottles is going to be available. The set features 10 Smash Full Bottles, 9 seen in the show along with 1 mystery. The Smash Full Bottle Set will be released through Premium Bandai in March 2018. You can pre-order this set from Toku Toy Store here. What do you think of these new Full Bottles? Do you plan on picking them up? Leave a comment down below!